Hope all Varshitap tapasvis are in sukh-sata and had wonderful parna on Akshay Tritya. 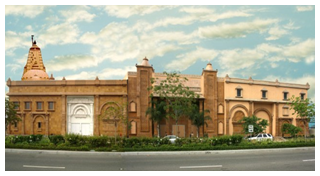 Great to hear that Jain Center of Southern California decided to serve vegan food in all future programs. This is a bold step taken by JCSC EC and its leaders. Khub Khub Anumodna to JSCS from JAINA. Q 1: How many Paryaptis do five-sensed Jiva have? Q 2: How many Prans do five-sensed Jiva have? Akshay Tritya/Akha Teej, the day when all Varshitap tapasvi's shall have parana with Sugarcane Juice after their tap of 400 Days. Lord Rishabhdev did it with 400 Upvas but has been kind enough on us to provide us a way to do it with Upvas on Alternate days with Biyasnas on other alternate days & Balas (2 Upvas) in between when upvas day is followed by Tithi so all Varshitap tapasvis do more than 220 Upvas. The story behind the festival in jainism is written in Harinvansh Puran and Padam Puran. The Day of Akshay Tritiya is worshipped and is auspicious in Jainism because it has established the very first "AHAR CHARYA" a methodology to prepare and serve food to Jain Monks. 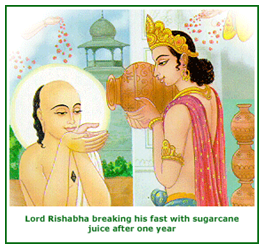 Lord Rishabhdev denounced the worldly pleasures after dividing his vast kingdom in his 100 sons. The message of Bhagwan Mahavir had spread far and wide and the impact was felt by the common people as well as the kings and the emperors. One of the chief devotees of Bhagwan Mahavir was Shrenik Bimbisar, the king of Magadh. 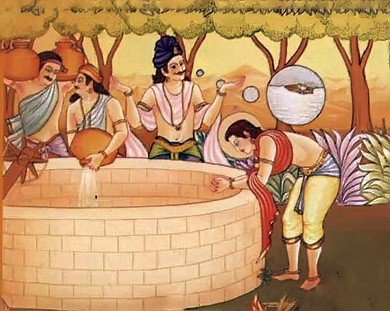 His son Abhaykumar was also Mahavir’s chief devotee and there are historical references about him in the records of the Swetambara and Digambara tradition, and also in the ancient Buddhist Majjhima Nikaya. It is also believed that Abhaykumar had once met and honoured Gautam Buddha. This reflects his reverence for other religions. Add hot sweet-water. Strain while pouring in. Excited for this year’s YJA convention theme? Then let YJA know what ‘Reconnecting with Our Roots’ means to you by participating in this year’s Essay Contest! Submit a 500-word essay for a chance to win a $100 gift card and be featured in our souvenir book! Please send all submissions to daytime.chi@yja.org by 11:59 PM CST on May 13th.